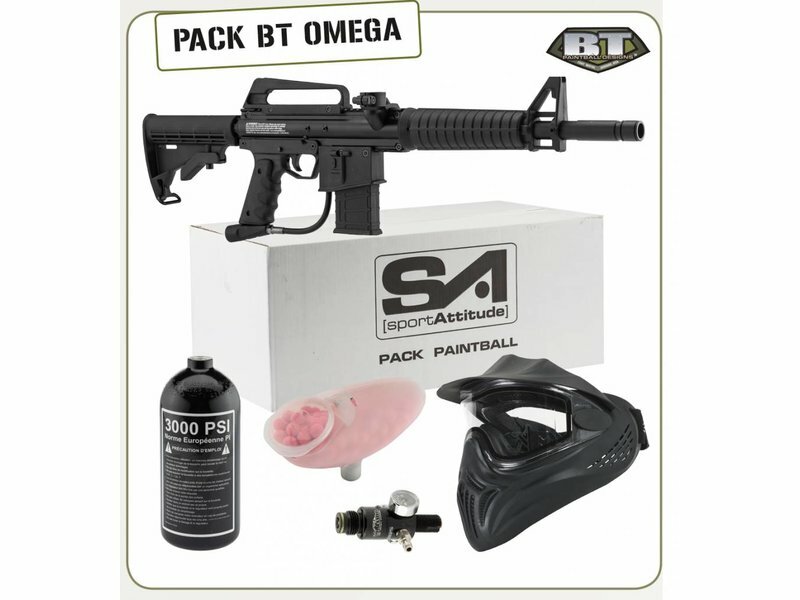 BT Omega Air Paintball Pack. Never one to rest on their laurels, the design team at Empire Battle Tested (BT) have redesigned their entry level tactical marker to give you even more bang for your buck! 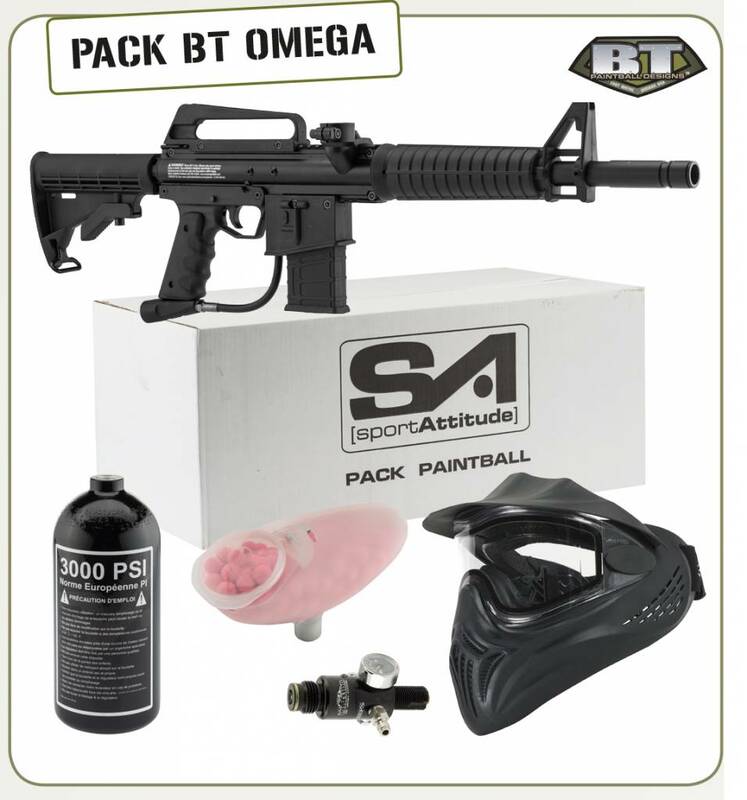 The BT Omega Marker comes scenario-ready right out of the box. 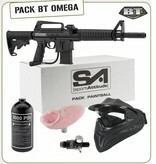 Built to withstand the tortures of woodsball, the Omega comes loaded with tactical features from the get-go. The heart of the updated 2012 BT Omega is the field-proven BT-4 aluminum chassis. This reliable mechanical blowback system provides reliable all-weather, all-condition performance combined with minimal maintenance. A six position collapsible stock will let you shoulder the marker for a steady comfortable aim. The Omega sports an M16 style barrel with both a mirror-finish internal bore for accuracy and Apex/ Apex2 Tip compatible. A mock magazine gives a mean look while providing a secure grip. A detachable M16 carry handle not only makes hauling the Omega a breeze but doubles as a high rise sight rail for mask clearance. The Omega will operate on CO2 or compressed air.